With the ASW 465 stripping cart as a mobile scaffold, slabs up to 6.65 m can be safely shuttered and struck. 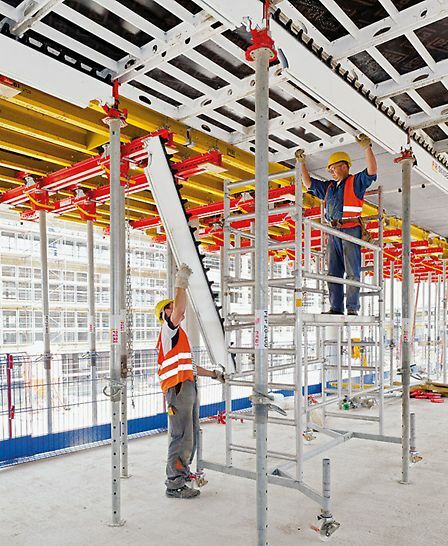 By means of the frames, which also serve as access ladders, the working platforms can be reached. 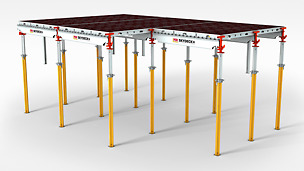 Levels up to 4.65 m can be assembled in 30 cm increments. 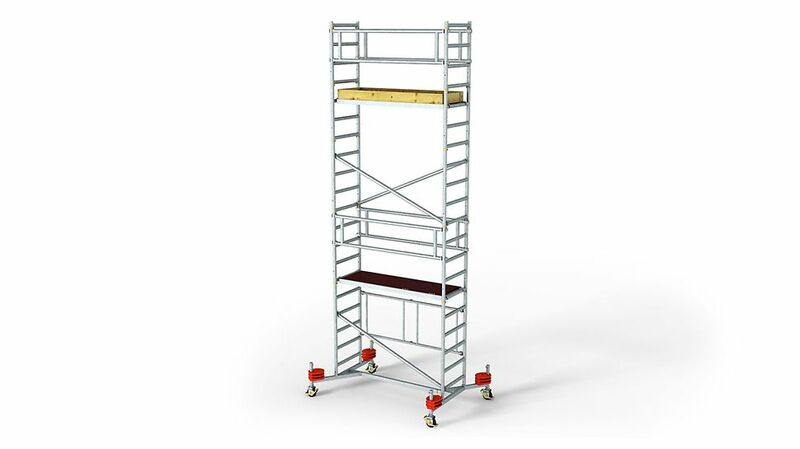 The stripping cart provides safe working conditions for working heights up to 6.65 m.
The access decks with self-closing hatches can be reached via the frame struts. There is 30 cm spacing between the struts. Climbing takes place in the internal area of the ASW 465 stripping cart. The individual components are firmly connected to each other. 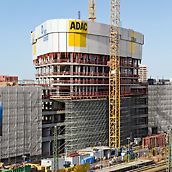 This means the stripping cart can be moved as a single unit by crane. All individual parts, including the ballast weight, are delivered on one pallet. This allows a simple and easy distribution on site even with different room heights.